This guide walks you through the steps of cancelling your Deputy account. Please note downgrading your plan is only possible on our web application and not on mobile devices. To downgrade, first go to your profile. 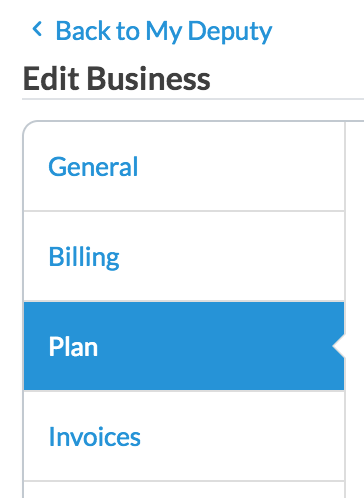 From there, please find the Organization you wish to change plan with and click "Billing". Next, please click "Plan" in the list of options to the left. Finally, please select "Cancel your Deputy subscription?". If you would like to change your plan, simply select the relevant plan you would like to switch to. 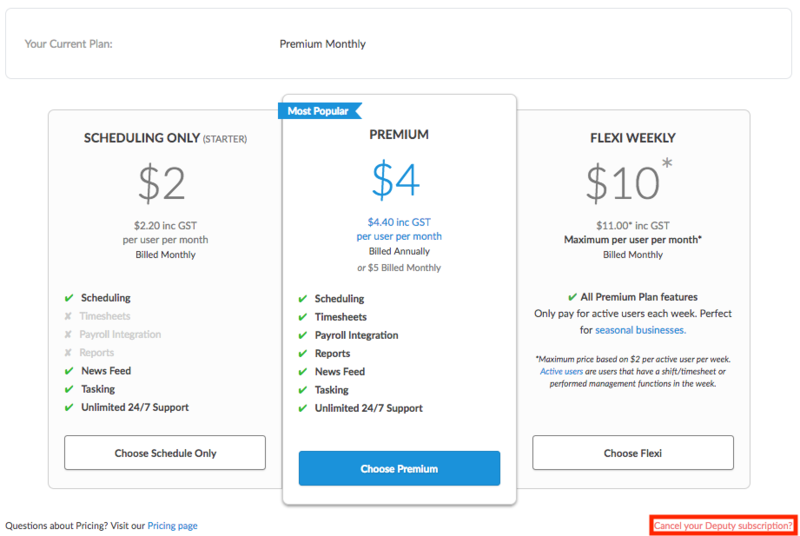 From here, you will be asked a few questions on why you are choosing to cancel your subscription. Any feedback will help us greatly improve our product. 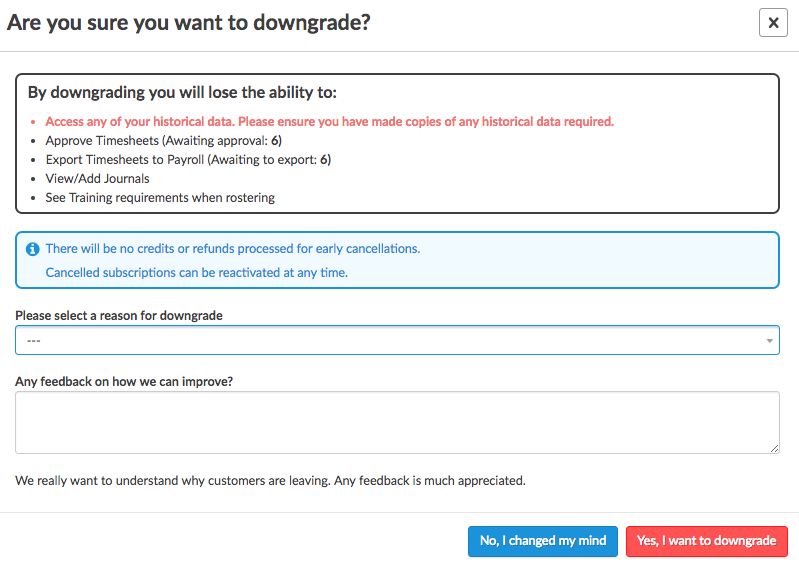 After answering these questions, click 'Yes, I want to downgrade' to cancel your subscription, of 'No, I changed my mind' if you would like to continue using Deputy.